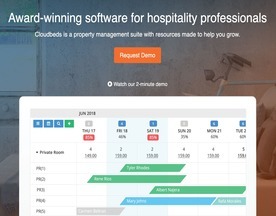 What is Online Hotel Management Software? Hotel reservation Software also referred to as a central reservation system (CRS) holds information on hotels, B&B’s and other lodging facilities. Modules will include Reservations, Profiles, Groups and blocks, Rate and inventory control, Administration, Reporting, Global distribution interface, PMS interface.